Welcome to this year's edition of Ljus/Mörker an international festival of photography and moving image in Skärblack Sweden. 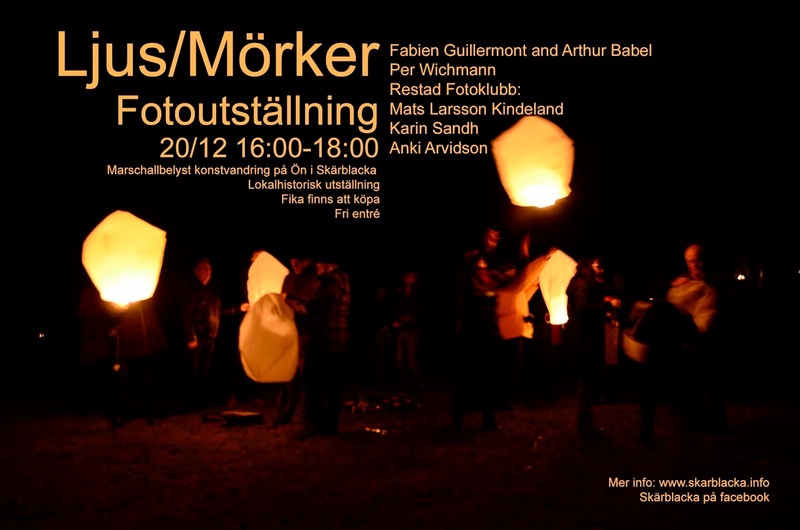 Light/Darkness is a light and arts festival in the darkest December where the audience and artists greet the light for a brighter future for the town Skärblacka and for us as humans. The project is co-organised by Vision Forum member Cecilia Ahlqvist and with contributions by Vision Forum member Fabien Guillermont.